As so many bands out there, the Deftones are no exception. They’ve been robbed several times. Once was on the “Around the fur” European Tour while the band was playing a gig in Berlin (Germany), thieves pillaged the group’s tour van making off with camera equipment and CDs. 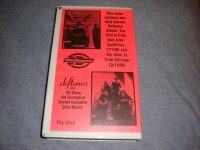 The most valuable were video tapes containing performance and behind-the-scenes footage, that the band had hoped to compile on a home video release. This pillage also left the band with no clothes, except for what they were wearing on stage that night. Another robbery scene was surprisingly on February 14th, 1999 (Valentine’s Day) in a hotel parking lot at Dearborn, Michigan. This time thieves made it on the morning, while everyone were asleep. They stole the touring truck containing all the band’s gear and instruments. It all happened when Deftones were supposed to opening Black Sabbath’s Reunion tour. The first show was cancelled due to this crime. Then with the help of Pantera and Black Sabbath, the band was able to play with borrowed instruments. In both cases rewards were offered.